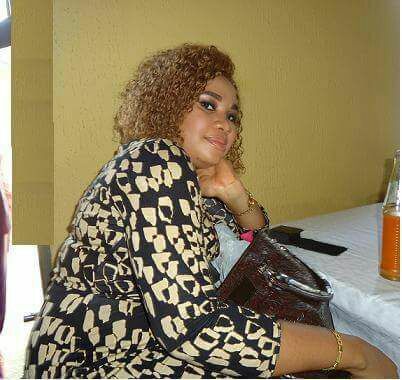 When Omonaijablog got a hint yesterday Friday May 19, 2017, in the evening, that a lady in her late 20’s who is simply identified as Patience Akpan had committed suicide after drinking a sniper insecticide in Ajuwon Lagos State, We took our writing materials and dashed off to the street to find out how it actually happened and our findings were pathetic. The lady who was identified as Patience Akpan, was said to have left her father's place that Wednesday afternoon before she was seen in another street within the area wringing in pains, with the sniper bottle still in her hands. Her dad, a driver who is said to be working with Sterling Bank on Ajuwon/Akute road was said to have been separated with her mother for years; and late Patience had been with her mother since then. On the day of her suicide, she was seen on Oni Street around Ajuwon, Lagos State, in pains before she was rushed to Bada hospital, Ajuwon where she later died. A man who pleaded anonymity, confided in us that; " I learnt she slept around Akinajo street, in Ajuwon that Tuesday after she was seen wandering around the street when she left her father's house that Tuesday night but, was said to have left the street around 8:30 am back to her father’s place before she came back and was seen in a nearby street in pains around 2:00 pm." "She had lived around that street about 12 years ago, before she returned to the street that Tuesday." "She was said to have looked deranged, though there had been rumours that she has mental issue." "I know she went to one secondary school there in Ajuwon but, I don't know her educational status as everyone in the street had lost contact with her after she left 12 years ago." "I learnt her mum is separated from her dad as well and that she stayed with her mum; with indications that her mum tolerated her wayward lifestyle." "I didn't know where she lived for those 12 years but, she left her father's place on Tuesday night at Akute and was on that street. She passed the night in there but, when people noticed the incoherence in her acts, they knew something was wrong but since there has been rumors that she normally behaves strangely, people took it to be one of those her bad moments." "She had to find her way that morning, either back to where she was coming from the previous night or not, I didn't know. But, I later learnt she went back to her dad on Wednesday morning and the dad was said to have seen her that morning as well before she went out in the day and was seen to have taken sniper." "She died in the hospital." That Wednesday May 17, 2017, she was seen on Oni Street around Ajuwon, Lagos State, in pains before she was rushed to the hospital where she was later pronounced dead. “People saw her with the sniper bottle before she was rushed to the hospital but, she could not make it. We would give you update on this sad occurrence. May God heal our land from all this abominable acts.